Enjoy the carefree Florida lifestyle with this beautiful move-in ready GROUND FLOOR, 2-bedroom, 2-bath condo located in the desirable gated Greenwood Village Community. 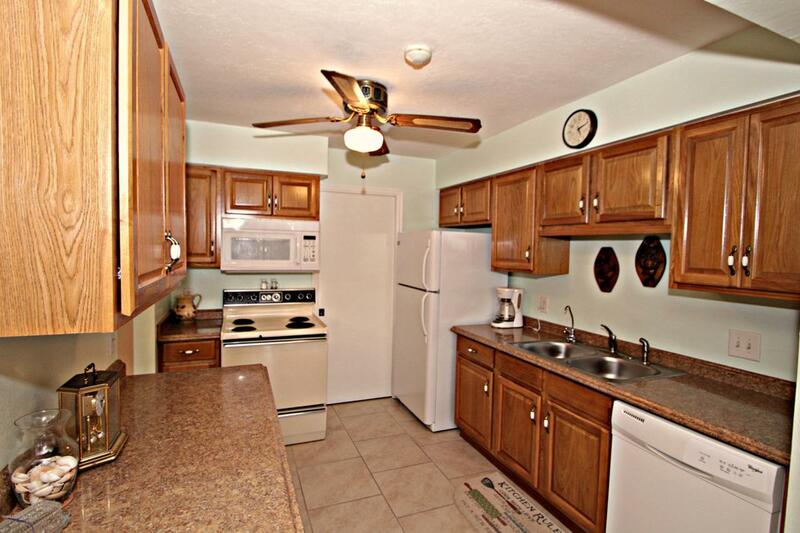 Features include a recently updated spacious kitchen with brand new stove, ceramic tile, new carpet in the bedrooms and a laundry room complete with washer and dryer. 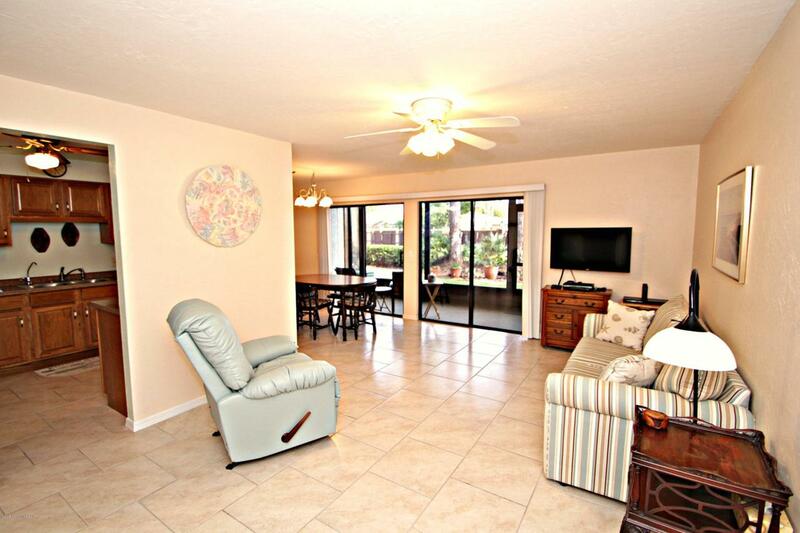 Relax on the screened lanai overlooking the well-landscaped backyard. This home is light and bright with neutral colors throughout. Grab your beach towel and head to the sparkling community pool which is heated in the winter and cooled in the summer, play a round of tennis or spend a day at the beach which is located a short 7 miles away. This unique unit features a secured lobby door and a one car private attached garage.The garage entry is the last door on the right in the hallway right outside the unit. Additional amenities include jacuzzi, sauna, racquetball court, 2 tennis courts, basketball court, library and additional RV/boat parking in the rear of the complex for a very low fee. 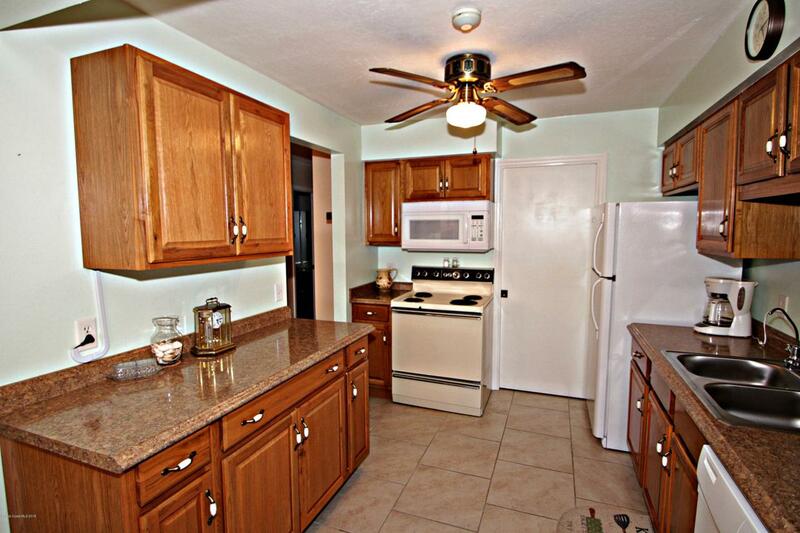 Cable, internet, pest control, garbage, lawn/landscaping also included in the low monthly condo fees. Two minutes to I-95 and close to all shopping, restaurants, Northrup Grumman, Rockwell Collins, FIT, Harris and Orlando/Melbourne International Airport. This gem will not last! 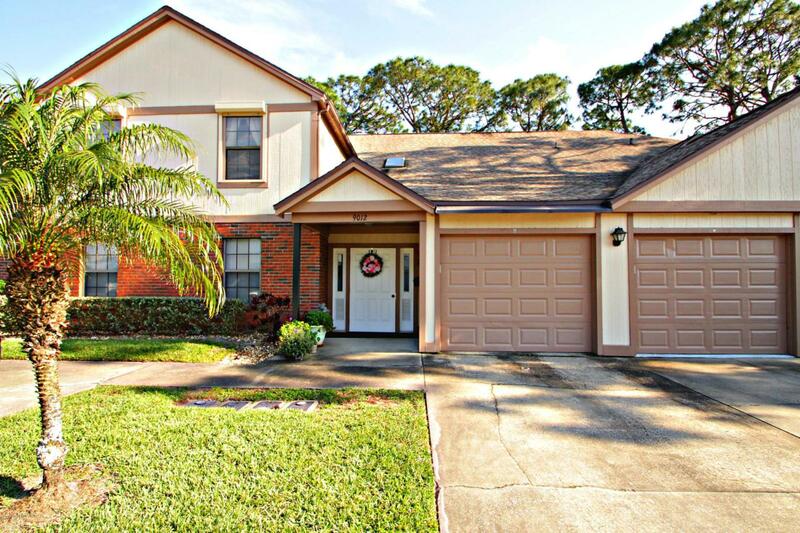 Listing provided courtesy of Suncoast Real Estate Group.